If your teenager needs money for college tuition, instead of looking at loan options you should always tap your retirement savings first. True or false? And the answer is… FALSE. If you answered TRUE, no doubt you mean well and want your child (or children) to get a good education while avoiding potentially crippling student loan debt. That’s understandable. We all want the best for our kids. But remember, we have to put on our own oxygen mask before we help someone else. Parents seem to be getting that message. Statistics show that the number of people willing to tap their retirement resources to foot the college bill is declining. Only about one-third of Americans with kids under 18 say they plan to use retirement savings or ‘could use if needed’ to help pay for their children’s education, according to a recent study by lender Sallie Mae. It’s smart that more parents are now thinking critically about whether to dip into their 401(k)s, IRAs, or the like. For starters, taking this road can lead to hefty penalties, and there are other avenues to financing a college education but no loans out there that I know of that finance retirement. Plus, you don’t want to run out of resources and burden your kids with having to support you later. Finally, if you start early enough, a 529 Plan can be a savvy way to save for tuition and fees. 1. Think twice before tapping tax-advantaged employer retirement accounts. 2. Think about what’s really good for your kids. Of course, coming out of college with no student loan debt it a sweet gift from Mom and Dad. But, if it comes with the strings that someday your kids may be supporting you financially, it could end up hurting more than helping them. It’s stressful to see parents struggling with money during retirement, so make sure if you do use retirement savings for college, that you’ll still be comfortable in your Golden Years. And, there is another problem that using these “excess” funds generate: Pulling out retirement savings could hurt your child’s chances at getting financial aid. Why? Because once this money hits your pockets, it’s considered “ordinary income.” So, counting these extra bucks could hike up your income to a level potentially above what qualifies for student assistance. 3. Think of saving for college a different way. A 529 Plan is one of the best ways to save for college. Still, there are more Americans today tucking college savings into ordinary bank accounts (45%) than into 529 savings plans (29%), says the 2018 Sallie Mae survey. But remember that 529 Plan investments have much more earning potential than plain ol’ savings accounts (which often only grow to the tune of 1% or less a year!). By setting up a 529 early on, you get that turbo-charging effect of years of compounding. Over time, this can make a big difference. If you want to know how much you should be devoting to the 529 Plan, think of it this way: The TSL Rule. The abbreviation TSL stands for “Taxes, Savings, Life.” This rule simply states that you should earmark your income in the following way: 30% for taxes; 20% for retirement savings; and 50% for living expenses. Notice that the 20% allocated for savings is specifically for retirement, not all savings endeavors. Any money you contribute to a 529 Plan should come from the life expenses category. 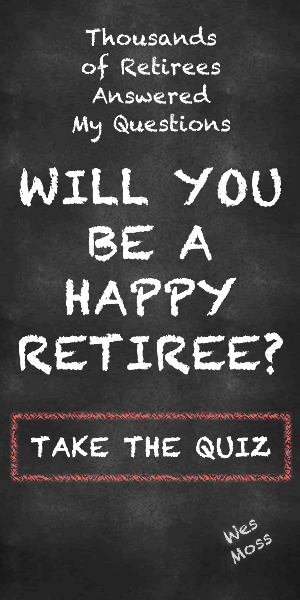 Meaning, you don’t ever shortchange your retirement share. And that’s the long and the short of why it’s financially prudent to avoid using retirement money to pay for education. Any questions?